We are here, honored once again to connect in this manner. We offer you our gratitude as well as our acknowledgment for who you are, true multidimensional divine conscious beings embraced in a physical form. We are aware that your physical form demands much of your attention; however, we continue to remind you of your unlimited ability to expand outside any limited beliefs. You physical vehicle was designed, so to speak, to support a human dense existence and experience while being aware of yourself as conscious light and energy. Many individuals are becoming aware of themselves as this conscious light and energy. This is the evolution taking place within the collective consciousness. People are awakening and realizing that they are much more than they ever imagined or were ever told. More and more information is coming forth concerning aspects of the physical body that are key activators in expanded consciousness. Throughout time your mystics and sages have addressed these various activators within the structure of the body. One very important gateway to higher awakened consciousness is the small mysterious pinecone shaped gland located in the center of your head. It is nestled between the left and right hemispheres of the brain, directly behind the center of your forehead between your eyes. It is a part of your endocrine system. It regulates the neurochemicals responsible for wake/sleep patterns, reproduction, body temperature, various biorhythms as well as moods and states of wellbeing. This gland, called the pineal, is also responsible for the biological clock that determines your aging process. Even though it is located in the depths of your brain, which is completely dark, it has rods and cones similar to the retina of your eye. You might wonder why your body created this gland with light detecting cells if there was no light to be detected. Perhaps the ancient ones, your sages, your mystics, knew the power of this gland when it was often spoken of as the third eye. This small mysterious gland is the intermediary gate that bridges your physical and spiritual experiences here on earth. Mystics have often referred to it as the seat of the soul. Throughout your history, all cultures have connected this pineal gland with enlightenment and spiritual awareness, the link between the human and the divine. For millennia, this has been hidden information. 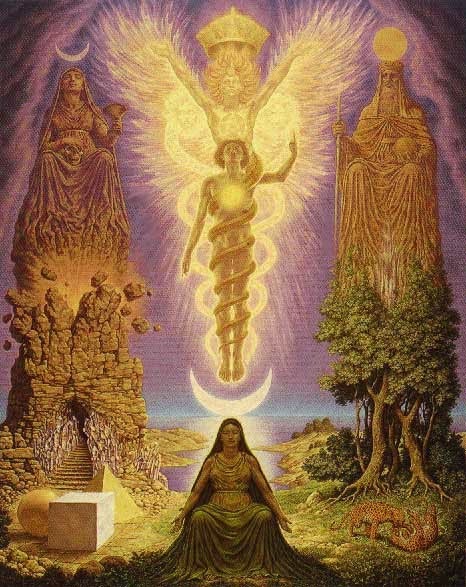 Ancient civilizations, secret societies and mystery schools were aware that this gland was responsible for spiritual enlightenment and visions during near-death, psychedelic and mystical experiences. Most humans are totally unaware of the functions and abilities of this significant gland. This pinecone shaped gland has been expressed in sacred art and architecture around the world. Begin to investigate, for this information is available and will certainly expand your understanding of the importance of this personal stargate throughout the history of your planet. All cultures have acknowledged this mysterious gateway to the higher realms of truth with the symbol of the pinecone representing the pineal gland and its sacred place in the history of your mystics, shamans, secret organizations and societies, as well as the religions throughout your world. This information was hidden from humanity as a form of power and control by the elite. However, this is shifting as more and more individuals are awakening to their own understanding of who they really are, divine conscious beings who can connect to other divine beings, both physical and non-physical, as well as travel to other dimensions and realms. Consider that this pineal gland is perhaps responsible for pictures internally seen when you imagine, or the dream images when you sleep, or even out-of-body or spiritual occurrences. 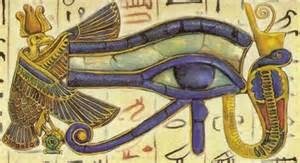 Perhaps the pineal gland is responsible for the skill of remote viewing that allows someone to see images or events at a different location than where they are, or clairvoyance, which is the ability to see images and energy not visible to the human eye. You might even say that when your pineal is fully functioning, it is like a satellite dish which connects you to the galaxy. It is the stargate that allows you to travel beyond this reality. It is the transducer of energy; it is the interface between your multidimensional divine self and your physical presence. As you begin to become more aware of the history of this small gland hidden deep within the structure of your brain, you can begin to activate its true function. You can begin to spend some time focused on activating all of the awesome abilities it offers for your personal enlightenment, your multidimensional gifts and the doorway of your connection to the stars and the mysteries. Unfortunately, this small gland can and does become calcified and sluggish. The calcification of the pineal gland happens as the human begins to age. This is usually due to lifestyle and the patterns within your collective consciousness. Your society has grown accustomed to instant and processed foods. The fluoride in your drinking water as well as a diet laden with preservatives, chemicals and pesticides contributes to the calcification of this tiny gland. This calcification or sluggishness can be one of the factors of poor sleep, premature aging, biorhythms being out of sync, erratic mood swings or the inability to activate all your paranormal abilities. So the effort of healthy eating and drinking water free of fluoride is certainly a beginning. Restoring your body to a more alkaline base rather than an acidic base will also be a positive factor. Make a point each day to be in the sunshine, without protective sunglasses, because sunlight stimulates this gland. We know that when you begin your investigation regarding this powerful little stargate, you will discover many other suggestions of diets and herbs, as well as your seaweed, that will contribute to restoring your pineal gland to its rightful and effective role in your personal expansion. Sound vibrations will also activate this gland. Chanting aloud is an excellent technique for opening and activating you pineal. Practice and play with the many tones, chants or sound vibrations that will stimulate, open and balance your third eye stargate. You are very magnificent; remember this as you begin to focus on this small yet remarkable aspect of your physical form. 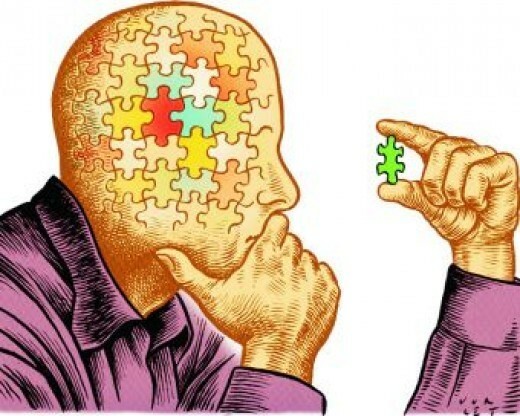 Your pineal will begin to respond to your mindset, focus, attention and intention. 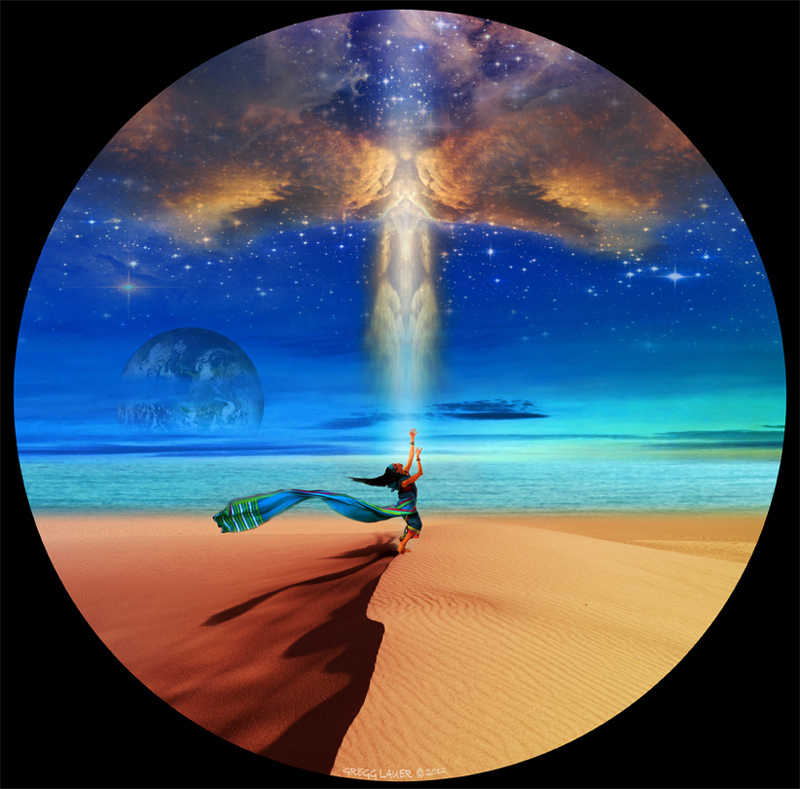 It is time that this personal stargate, doorway, and portal is made available to you in your true awakening.